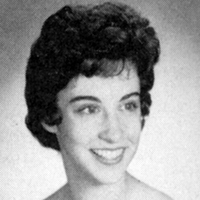 Martha “Marti” Turnipseed was killed in a car crash in 1972, but her story lives on. She was the first white student to join the lunch counter sit-ins to protest segregation in Birmingham. Here, her college roommate and her brother recall what that day meant. Her brother talks about Marti at: http://vimeo.com/birminghamsouthern/turnipseed. Nobody pressured her. Nobody dared her to do it. Her decision was hers to make. On April 24, 1963, in a watershed moment in her life, Birmingham-Southern sophomore Martha “Marti” Turnipseed chose to join seven black students who were sitting in for justice at a segregated Woolworth’s food counter in downtown Birmingham. Little did she know that Birmingham Police Commissioner Bull Conner had spying detectives everywhere. As soon as Marti returned to campus several hours later, she received an urgent summons to appear before college officials. The next day, the college’s acting president asked Marti to withdraw from school immediately. Rev. Noel Koestline, Marti’s friend and roommate, says she’ll never forget that day, when she and another friend, Barbara McBride, helped Marti pack up her things. The next day, Koestline and McBride found themselves sitting in an office before the Acting Dean of the College, the Dean of Women, and three other administrators. The young women, who had met in a college youth group for Methodist students, had become good friends, all connected by their commitment to civil rights. “We were given a moral lecture that ‘the college was doing the best it could and wanted to help race relations in the city and state, but that we were trying to move too fast and were making it harder and worse for them,’” recalls Koestline. Just two days earlier Marti, Barbara, and Sam Shirah had ventured off campus to attend a rally at First Baptist Church in Ensley, where Rev. Martin Luther King Jr. spoke. They made a stir; local civil rights activist Rev. Fred Shuttlesworth introduced them and called them up to speak. Before the evening was out, Marti pledged to join in the sit-in the next day, becoming the first white student in Birmingham to do so. After a year at another college, Birmingham-Southern officials allowed her back to campus for her senior year. When she returned, she remained active in the fight for civil rights but shifted her strategy, says Koestline. In June of 1965—two months before the first African-American student enrolled—Marti received her degree in English. Marti’s story is adapted from an article in Birmingham-Southern College’s alumni magazine, ‘Southern, the Winter 2013 edition that commemorates the 50th anniversary of “Birmingham’s great movement for civil rights.” The publishers gave permission. See the full edition at http://www.bsc.edu/communications/southern/win-spr2013/index.html#/22/.